This is an image from this past summer that I took on our trip to Yellowstone National Park. 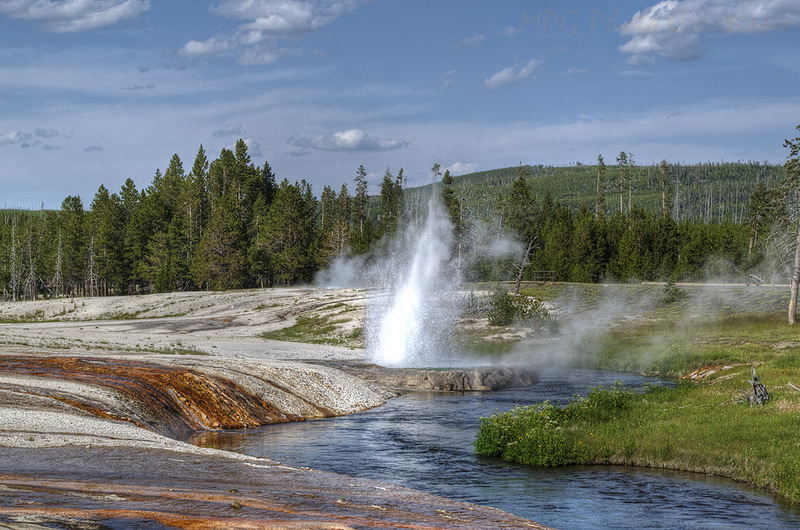 We were south of the Norris Area at a place with lots of steamy pools and geysers. This was an active geyser along a stream that had very colorful mineral deposits entering it.